1.1 The following 250TPD wheat milling plant is specially designed according to hard wheat. 1.2 This design adopts the technical process of extracting flour from medium and long flour scheme in the milling workshop and 14 MMD25/100 pneumatic automatic roller mills to consist the 5B8M2S2T milling technique which is full blown in Europe. 3B, 4B and 5B all have coarse and fine systems; bran pieces from upper section of plansifter is treated with bran scourer to shorten the process of break system. Middling system, semolina system and 1T system all adopt smooth rollers and combine with impact detacher to reduce the power of rear milling stage. 2T system adopts smooth rollers to give special treatment to material in T system in rear milling stage and thus plays the key role of reducing ash content. Roller’s contact length is 11.20mm/100Kg wheat•24h; sieving area is 0.090m2/100Kg wheat•24h; purifier’s unit sieve surface width is 1.89mm/100Kg wheat•24h. 1.3 In consideration of environment protection requirements, it’s suggested that dry cleaning method which is usually adopted by Europe be used for wheat cleaning process and meanwhile intensive dampener with computer feedback device be used to reach the moisture suitable for milling. The process includes two sifting, two scourings, two de-stoning, two dampening, three magnetic separating and multiple air suctions before the clean wheat enters break system. This is to ensure wheat purity. All the equipment is fully enclosed. 1.5 This technical process has the following economic and technical index: if it mills one grade, total flour extraction rate is 75%, cumulative ash content is 0.53～0.63%; if it mills two grades, the extraction rate of grade 1 is 45%, its ash content is 0.45～0.55; the extraction rate of grade 2 is 30% and its ash content is 0.65～0.73%. The above mentioned ash content is calculated on dry basis. For normal milling, the power consumption per ton flour is not higher than 66kW•h. 1.8 Total installed capacity is 1000kW. The normal capacity is 250T/24h. 1. Client is responsible for civil engineering and foundation and needs to prepare water, 3-phase electricity, crane and forklift for loading and unloading equipment, welding machine, cutting machine, 15-20 installation workers with fluent English ability. We will provide 1 installation engineer and 5 technicians. We’ll also provide necessary installation tools and materials. 2. 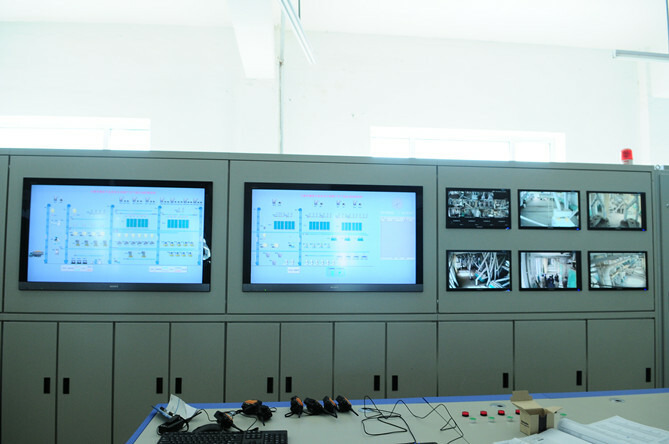 The quotation of the wheat milling plant includes the complete set of main equipment, auxiliary equipment, cables/wires and pipeline, etc; but we only supply the cables between the secondary switchboard and equipment, not the cables between the secondary switchboard and primary switchboard & transformer. 2. Labor force: 8 hour work shift; 1 worker for control room, 1 worker for milling section, 1 worker for cleaning section; 2 workers for packing; other workers for raw wheat and flour conveying are not included.